A few months ago, Poly Prep reached out to us to ask if we would be interested in recording a new, public event series called Context: Conversations at Poly Prep. 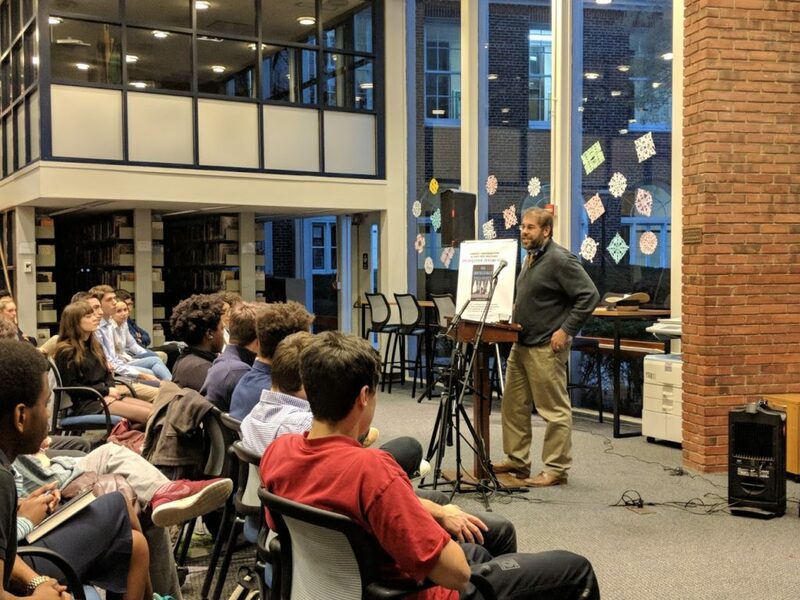 The first lecture, with professor and historian Jeremi Suri, was a quick but wide-ranging lecture discussing the evolution of the Office of the President throughout American History as discussed in his new book The Impossible Presidency. While the subject isn’t necessarily local, we were thrilled to bring you a progressive, thoughtful lecture given locally at an institution with over 100 years of history in the neighborhood (and to pal around with the excellent Bookmark Shoppe too!). I always remembered, as a kid, being taken by my grandfather to go throw bagels at the ducks at the Poly Prep pond (By the way, folks, don’t do that! It’s terrible for the ducks. There are signs now. Probably because of me. Sorry.) But it always was a mysterious entity for much of my life, and a closed campus. So we are very excited to see the institution open its gates and beautiful campus to the neighborhood and provide a much-needed event space for lectures and discussions. You can sign up for future events on their calendar or monitor their Twitter feed.